4F This is an interior cabin. 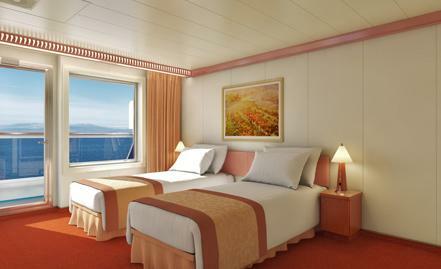 It has two twin beds that convert into a king and is approximately 185 to 190 square feet. 4G This is an interior cabin. It has two twin beds that convert into a king and is approximately 185 to 190 square feet. 8C This cabin has it's very own private balcony, has two twin beds that convert into a king and is approximately 185 to 190 square feet. 8D This cabin has it's very own private balcony, has two twin beds that convert into a king and is approximately 185 to 190 square feet. 8N Aft View Extended Balcony. This cabin has it's very own private balcony, has two twin beds that convert into a king and is approximately 185 to 190 square feet. Premium Balcony located on the Verandah Deck. 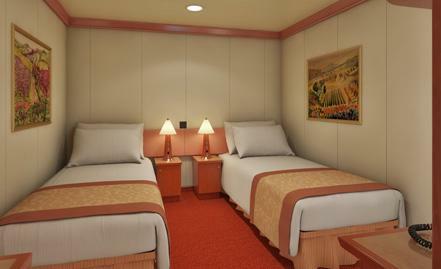 Conquest Cabins 8442 and 8449. Triumph cabins 8422 and 8427. 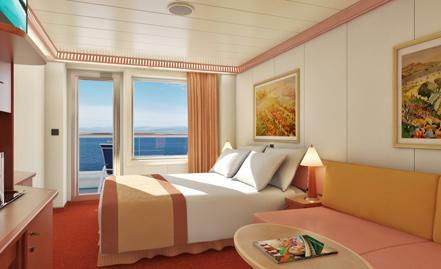 9C Premium Vista Balcony. This cabin has it's very own private wrap around balcony, has two twin beds that convert into a king and is approximately 185 to 190 square feet. 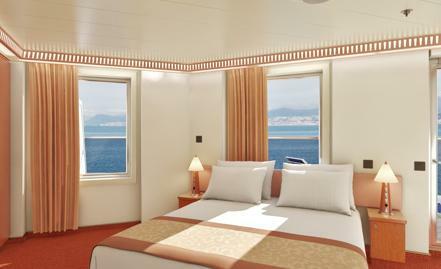 Wheelchair Accessible Staterooms are available but not shown on this ship's deck plan. Please call for availability.